In the latter part of 2013, some marketers and business owners began to notice that their Facebook posts didn’t seem to be reaching as many people. Although there wasn’t anything conclusive evidence at first, it’s now been confirmed that Facebook has taken steps to reduce the exposure of posts made by businesses. The main exception to that reduction is the changes Facebook has made in terms of encouraging paid distribution. As a company that’s now publicly traded, it’s not surprising that the site is trying to get as much money out of businesses as possible. However, that doesn’t mean businesses want to pay just to reach the people who have already made a choice to follow them. If you’re in that position, the good news is the right Facebook training can help you increase the reach of your posts without having to pump an ongoing stream of money into their promotion. You need to figure out exactly which type of content performs best. Since status updates may work best for one business, while links or videos may be the most effective for another, it’s important to test and analyze for your own business. You can use a combination of the analytics provided by Facebook, as well as Google Analytics to see your Facebook to site conversions. In addition to figuring out the right type of content, you’ll also want to figure out what time of the day generates the best results. If this all sounds overly complicated to do, a Facebook marketing course can take you through the entire process and teach you exactly what you need to do. A big part of successful Facebook marketing is being able to think outside of the box. One of the ways to do that is by figuring out creative and effective ways to incentivize sharing. Whether that means creating a special promotion or running a photo contest, if you can boost organic sharing, your positive results will increase. The reason that Facebook certifications and Facebook training are going to be important for the foreseeable future is because this platform is an absolute powerhouse. With over a billion users, it’s here to stay. But that doesn’t mean you have to keep your efforts siloed off. In fact, by finding ways to tie together your campaigns across multiple social platforms, you’ll create the type of synergy that can help boost your organic reach on Facebook. 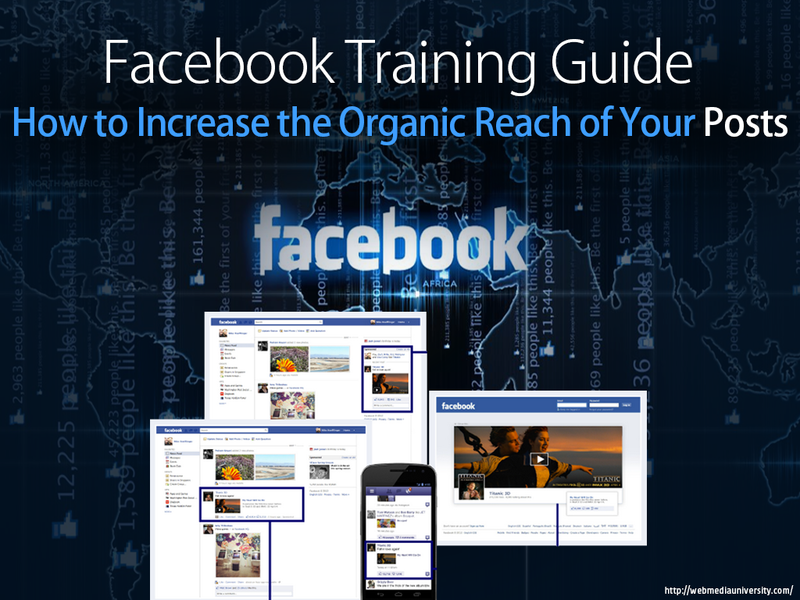 If you know that Facebook can do a lot for your business but have been frustrated by many of the platform’s recent changes, comprehensive Facebook training is the best way to overcome them. By learning everything you need to know about the current state of Facebook, you’ll be able to maximize the results you’re able to drive through this platform.